Since the World Wide Web was created in 1989, the Internet has been changing our lives and the whole of society. We’ve given our age several names: the Information Age, the Computer Age, the Digital Age… but all the terms have something in common. They characterize these years as the age of technological and informational progress. It isn’t surprising that the Internet has started to affect the real estate market as well as many other markets. What can the Internet offer homebuyers? What is its future in term of the housing market? As the Internet ha become an indispensable part of our lives, we use it almost every time we need to access information. Homebuying requires considerable amounts of information about mortgages, interest rates, house offers, real estate agents, and so on. So why not simply Google it? According to the 2011 Mortgage Consumer Survey by Canada Mortgage and Housing Corp., the Internet has become a valuable resource for mortgage customers. Twenty-two per cent of respondents said that they use only online resources, and 43 per cent reported that they use both online and offline resources. Most respondents (67 per cent) visited the web sites of specific mortgage lenders; however, they also found useful sites for specific mortgage brokers, sites with mortgage-related material (mortgage options, mortgage calculator, et cetera), and sites for real estate agents or agencies. “While still a relatively ‘niche’ channel, 11 per cent of recent first-time buyers reported the use of social media platforms for researching mortgages, up from three per cent the previous year,” added the report. When you live in Quebec and want to move to Alberta, it’s quite a challenge to find the right house. You can pack your stuff, travel, and visit the houses you’re interested in — or you can just pull up a map online and see where the houses are, go on virtual tours of homes, and even do a comparative market analysis. The Web is also a great way to research a target market’s prices, home types, views on housing, reviews, and recent sales. By using the Internet, homebuyers can reduce the time spent looking for properties that match their requirements, and house hunting can be done from work or home. But still, it isn’t necessary to buy a house having just seen it through the Internet. Internet homebuying is a great challenge for real estate agents. With technological progress, they are forced to upgrade their services and make homebuying easier. 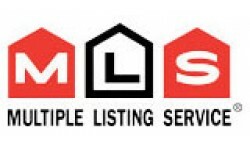 The Internet is a great tool that will provide homebuyers with many new services. The ability to safely purchase a home through the Internet alone is probably not so far off. -	Mapping through Yahoo can help you to check out the geography of cities or Google Maps let you see satellite photos of neighbourhoods. -	Yelp features reviews and suggestions from neighbourhood locals. -	Mortgage-Calc is one of many sites that provides mortgage calculations. -	Canada Mortgage and Housing Corporation provides a great deal of information about the Canadian housing market. You should be aware that web information is not always current, and that it can sometimes be overwhelming! lоans that you can put towards the hoսse of yoսr dreams. Use your client’s prioritiеs as your guidе in determining Һow best to provide the information that will give you the edge over the big five.